It’s only when Oli Fisher declares his age (he is 30 and I first met him in 2005 when he was 16!) that it dawns on that I have absolutely no idea where the time has gone. 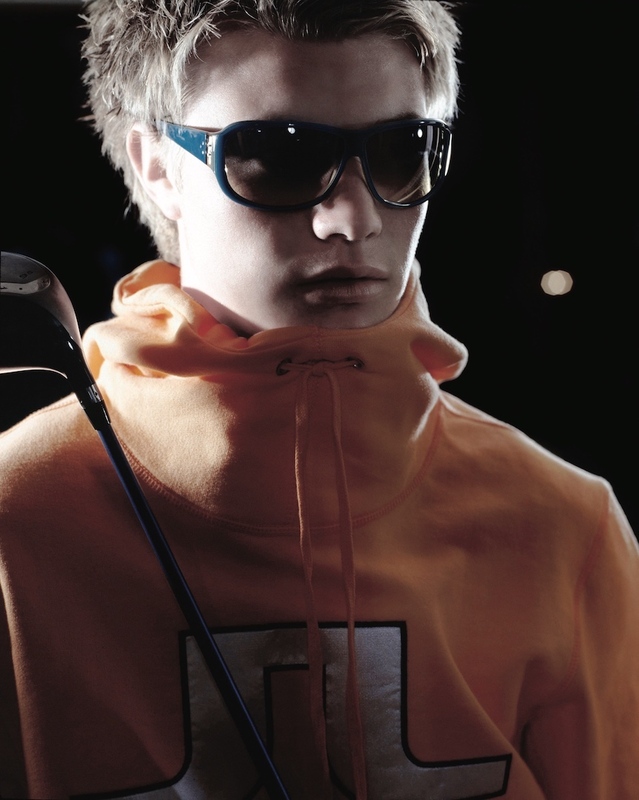 I remember Oli appearing in a GolfPunk fashion feature (he won't thank me but we have included some takes from that day) all the way back in 2005. Oli, a fresh-faced 16-year-old, had just won the Faldo Series for a third time in a row 2003-2005 and was about to become the youngest player (30 days shy of his 17th birthday) ever to represent GB & Ireland in the Walker Cup. Oli was widely regarded as one of the best golfing prospects of his generation. The following year, in 2006, and still an amateur, Oli entered Q-School for the European Tour. A lot of people thought it was too soon for him. Oli finished 5th, becoming the youngest British player ever to earn his European Tour card. He then turned pro and made his first five cuts in a row. Golf? Easy. Then nothing much happed for a couple of years, the highlight being a runner up spot at the Andalusian Open in 2008. He finished 51st in the Order Of Merit. Solid but not quite the spectacular rise to the pinnacle many had anticipated. And then golf displayed its dark side. Oli finished the 2009 season in the dreaded 125th position. The 'next big thing’ had lost his tour card. He got it back the following season – thanks partly to some sponsors invites in 2010 – but then missed 20 of his first 21 cuts in the 2011 season. That horrible feeling in the pit of your stomach. We’ve all had it at some time or other. When you suddenly have no idea what you’re doing on the golf course. The harder you try, the worse it gets. Oli went into the Czech Open in August in 224th place in the Order Of Merit. God knows what was going though his mind that week. 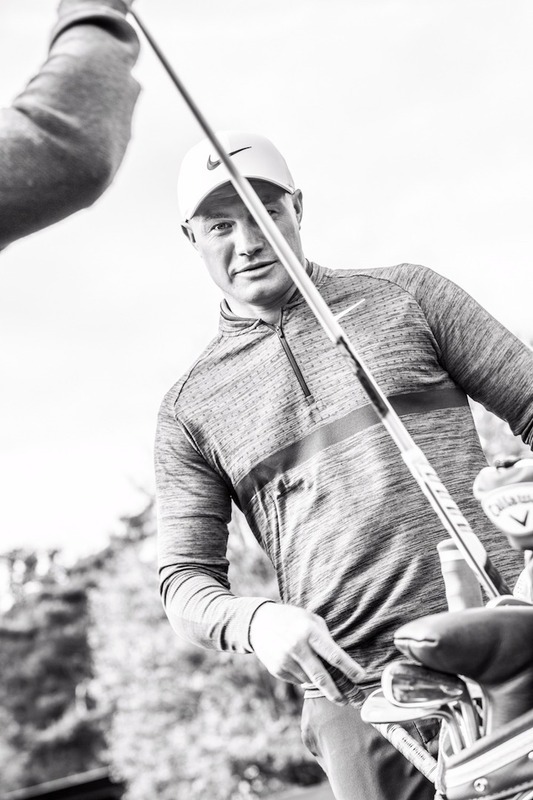 Probably something along the lines of: “I’m only going to lose my tour card again…” But then – and who really nows how this happens – Oli gets himself into contention. He fires a final round 69 for a two shot victory. After all that capering around, Oliver Fisher was a European Tour winner. Plus he had a now had a two-year exemption. We’re still waiting for the next big moment but Oli has been moving in the right direction in the past couple of seasons with big pay days at the 2017 Dunhill, Portugal Open and Irish Opens. This season’s big highlight came in February when he finished second at the Qatar Masters. Hang on a minute, did I say ‘big highlight’? Well, shut my mouth and put the cat out. Maybe we should mention the day that Oliver Fisher, original child prodigy GolfPunk, made European Tour history. Oli went into the second round of the Portugal Masters hoping to build on a solid opening round 71. What happened next is the stuff of golfing legend. 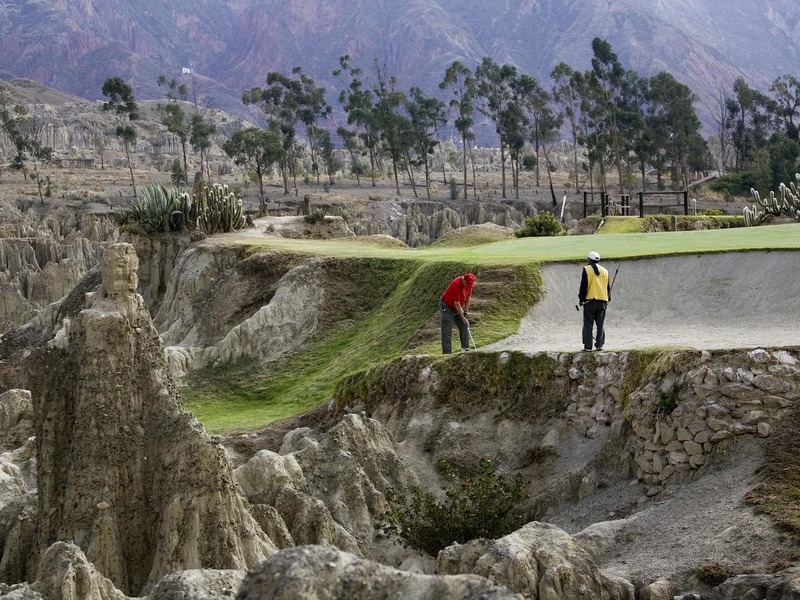 More than 690,000 rounds had been played on the European Tour to this point. No one had ever recorded a 59. There had been 18 rounds of 60 on the Tour, but no one, no one, had ever shot 59. 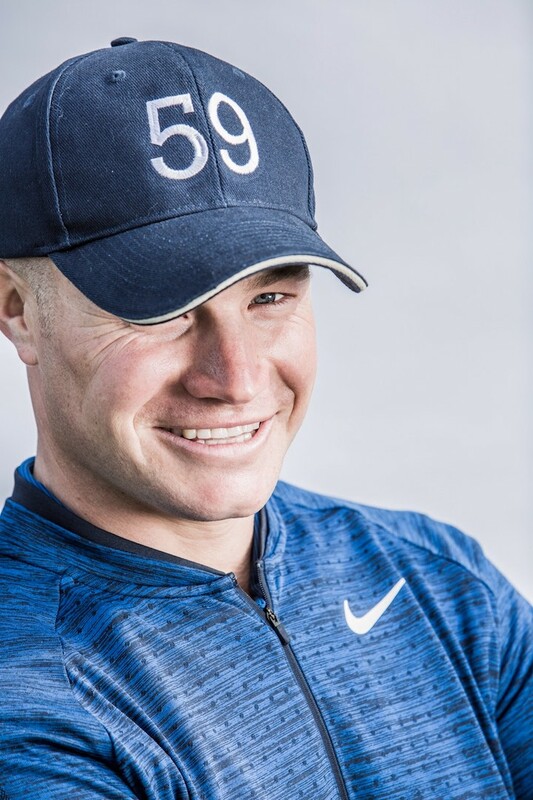 The Dom Pedro Victoria Golf Course did not know what hit it: Oli birdied the first three holes, eagled the par 5 fifth and birdied the 8th to be out in a jaw dropping 28 shots. #59Watch spread throughout social media as it always does when there is even the slightest whiff of a miracle round in the making. “I don’t think it’s something I can ever get bored of. It’s really nice that people want to come up to you and congratulate you. there are so many people you see around and you think to yourself ‘I’m not going to approach them, I don’t know how they’re going to react etc’. "I’m lucky that people feel they can come up to me and talk to me… plus I’m really lucky that I had a chance to do it. These things don’t come around very often. 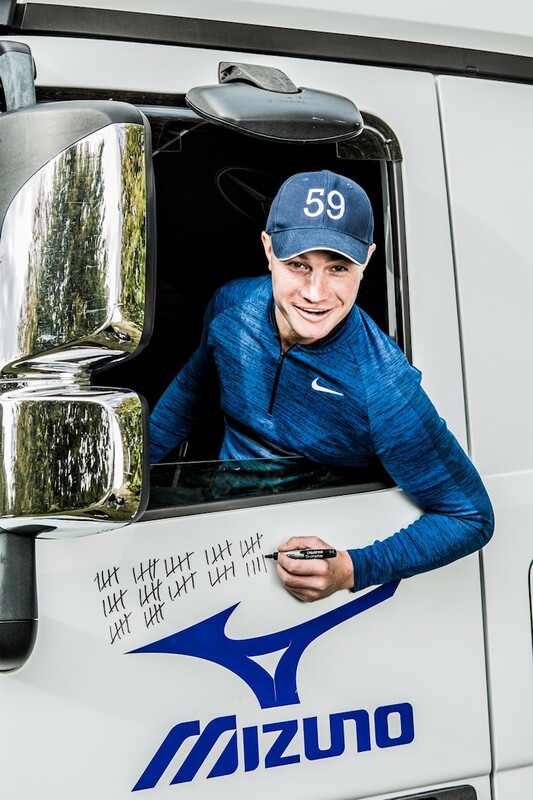 I mean, people have runs and shoot good scores week in week out on the European Tour, but to have a realistic chance of shooting a 59… wow, I feel really lucky to have done it." At what point did you think ‘this is on’? “Well, I started the day at level par and I’d missed three of the last four cuts. It was quite a big day for me because I knew I had to go out and shoot three or four under just to make the cut. The cuts tend to be pretty low in Portugal anyway so it was clear what had to happen. Earlier in the week I was struggling with my game. 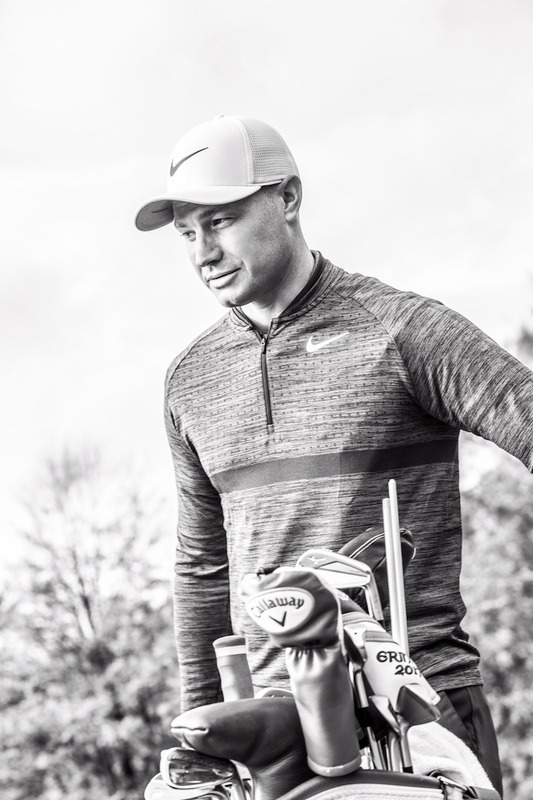 “Then on Friday I started with three straight birdies, parred four and then holed a bunker shot on 5 for eagle… so I’m five under par all of a sudden. Then I holed a 30-40 footer on 6 for another birdie. That’s a tough par 3 and I was hitting four iron. "Then the 7th has a 285-yard carry over water off the left from the tee. As I was walking over to the 7th tee I was thinking, as long as I hit a good drive here then I can’t really miss the cut, which is a really big thing mentally because I’d missed a few cuts and I just wanted to play a few rounds, get some tournament golf under my belt and make a bit of progress in the Race To Dubai, get up the rankings rather than treading water and falling backwards like I had been doing. “So the 7th was critical. I hit a great drive, pulled it slightly but cleared the water by miles and I was hitting 9-iron in. I hit it to 10-feet and the putt just lipped out. So I walk off 7 and I’m six under so I started to relax a bit. "Actually I was quite relaxed that morning anyway as we were on the other side of the draw, there were no cameras there, my dad was there, my caddie's wife was there and then my fiancee Paige came out on the 8th in time to see me get another birdie, then I missed a short putt for birdie on the 9th. 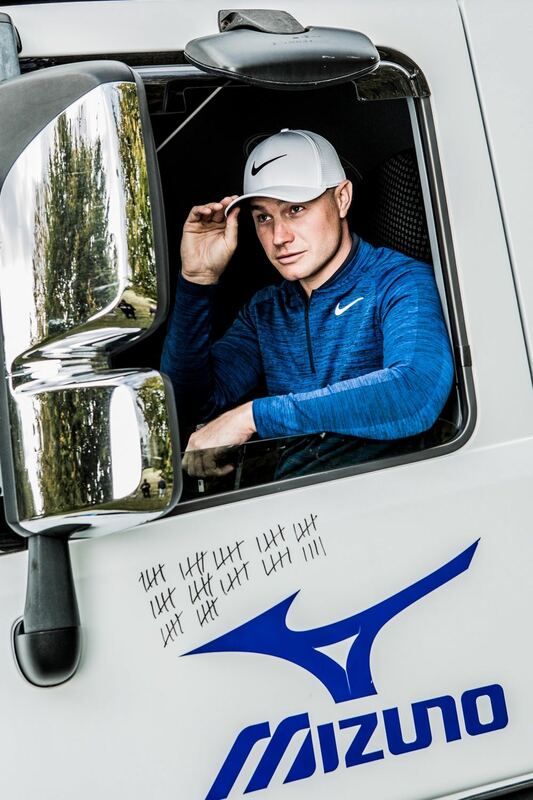 "So I’m out in seven under and I don’t really feel like I’ve done anything… normally if you get to seven under you’re on the 16th or 17th hole and here I was just starting the back nine. "I think the game does strange things to you. Whether you’re a mid-handicapper or a tour player, as long as you treat the game with respect and you work hard when you feel like you should, and you remember that you’re playing it for fun, golf will always give you something back." “It was when I birdied 12 that I realised I had a really good chance at it. Then it started to become ‘what if I don’t do this now?’, because the course was set up on the way in for me to do it. As long as I played OK I was always going to do it, because I was 10 under par through 12 with some good opportunities ahead of me. “Then I remembered this same Victoria course and a really tough day I had at the end of 2016. It was the final event of the season and I was struggling to keep my tour card, I needed to make a few quid to keep my playing rights. I shot a 65 on the final day to finish 10th and moved up 20 or so spots in the Race To Dubai. I was playing with Brett Rumford and Graeme Storm who were both trying to keep their tour cards also. "It was an emotionally draining day. I finished birdie-birdie that day and hit some key shots on the back nine. Now the back nine probably gives you more birdie chances than the front nine but you can easily hit a couple of shots into the water and suddenly you’ve made a couple of double bogeys without really batting an eyelid. “So it was important that I’d had a good round there before, under much more pressure. I could look back and say ‘well, I’ve done this before’, even though I’m shaking now! So we’re 10 under through 12. I think I did a really good job of staying in the moment, I wasn’t looking around too much at anyone, I could feel the crowd building. “I was lucky that Gary Murphy and other TV crews came out, I knew Murph from paying with him. When I came out on tour in 2007 he was still playing so I knew him well and I figured he was bringing me the luck of the Irish! 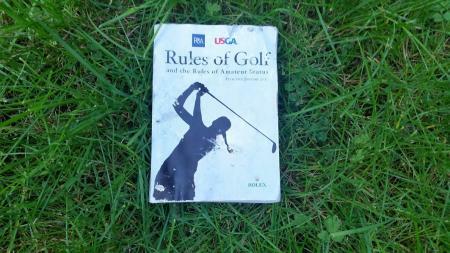 “I hit a really poor shot into 16 but then made a big par putt which kept the round on track. Even if I’d missed that putt I could still have finished birdie-birdie so I wasn’t too fazed standing over it. "I think a lot of players who’d been in similar positions to make 59 before me had tough holes ahead. Don’t get me wrong, 18 is a tough hole but by the time I got to the 18th tee I didn’t have to birdie it, I just needed a par. So the old adage ‘if you need a par try to make birdie’ came in. I tried to hit a wedge in as close as possible but pulled it. "I can remember walking up to the green. 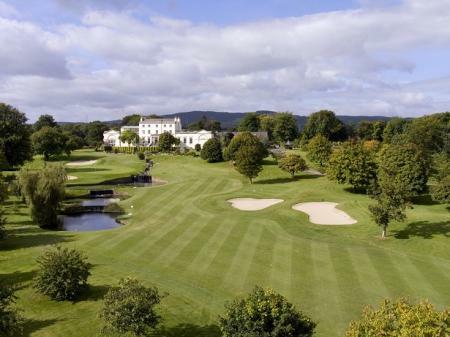 All the lads said they were hanging out of the driving range and around the green by the water on the left watching, but I didn’t see anyone! When you look back on the footage I walked onto the green and I didn’t really say thank you to anyone. They were there to see me shoot a 59 and I didn’t acknowledge it with my hat or anything. I wasn’t really aware of what I was doing to be honest. "Over the putt it felt like just any other putt… having said that I was obviously shaking a lot and just wanted to dead-weight it down there… it was 35-feet...I was trying to drop it on the right lip and missed it a little low, it caught the edge of the hole and finished a foot past which was great because if I’d had a three or four footer – to be fair I’d holed some really nice shortish putts from 13-17 so I would have been OK – but to knock it to tap-in range was so nice. "It just shows you, all these years on tour, watching Rory or Tiger or one of the guys shoot eight under on the Saturday to move them right into contention it just shows anyone can do it as long as you plot your way round the course, make the right decisions. "I mean I didn’t do anything amazing that day, I know I shot 59 but it wasn’t like I’d ripped every drive down the middle, I didn’t stand there and hit every approach shot to five foot. I holed some pretty nice putts, I birdied holes when the pin placements were favourable, essentially I didn’t do anything daft! “The most satisfying thing looking back was the way I handled myself coming off the 16th green. I was chatting to my caddie Guy and I just said ‘right, we’re here now, let’s just enjoy this, let’s not just try to steer it through the last two holes'. For me to say that to him is a bit unusual because I’m not the most outward going guy, I’m a bit introvert on the golf course. 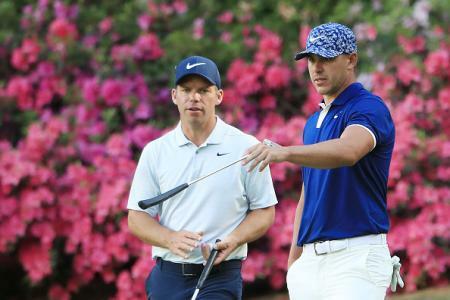 “So it was good for me, having hit a poor shot into 16 and then making a good putt… saying to Guy, ‘listen, we can shoot 59 here, let’s go and enjoy it, let’s hit a couple of good drives!’. And just saying that took a bit of weight off my shoulders. "Guy was there doing the same things as he always does on the bag but I had to get something out of him, a smile or something… it was a case of ‘are we going to talk about 59 or not?’. Who’s going to say it? Am I going to say it or is he going to say it? "The worst thing would have been if later on we really wished we’d said something. So it was so important that we talked about it. It was ’shall we go for it?’. Because it could have easily been ‘Mate, let’s hit it in the left rough and hack it up there and shoot 60’, or it could be ’No come on, let’s have it, why not?’, even if we shoot 63 at least we went for it. I’d much rather that than ending up afterwards sitting there having not said a word on 17. "So the putt goes in on 18 and I’ve shot 59. There were a couple of my mates there, Simon Khan, Robert Rock, Sam Walker… Matt Wallace sprayed me with champagne… looking back on it it was just an amazing day. 12 years on tour, won once, had some ups and downs struggling to keep my card a few times, you just keep battling away. 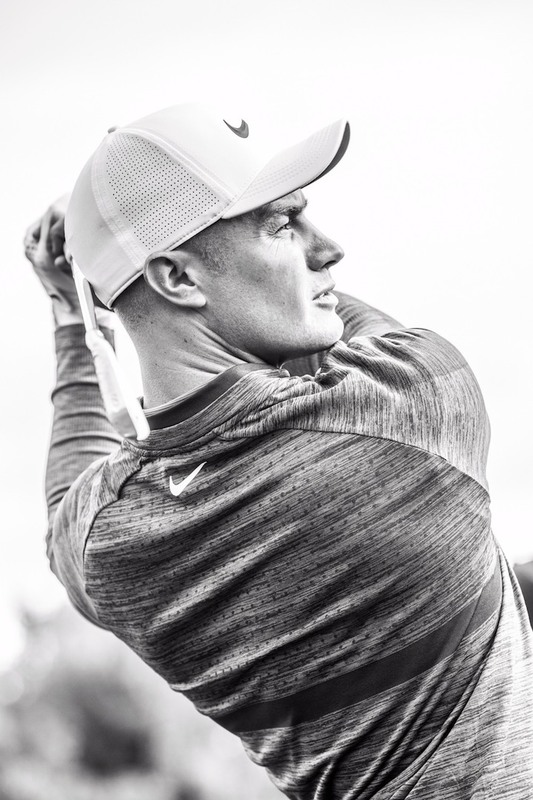 "I think the game does strange things to you, whether you’re a mid-handicapper, a beginner, single figure or a tour player, as long as you treat the game with respect and you work hard when you feel like you should, and you remember that you’re playing it for fun, golf will always give you something back. 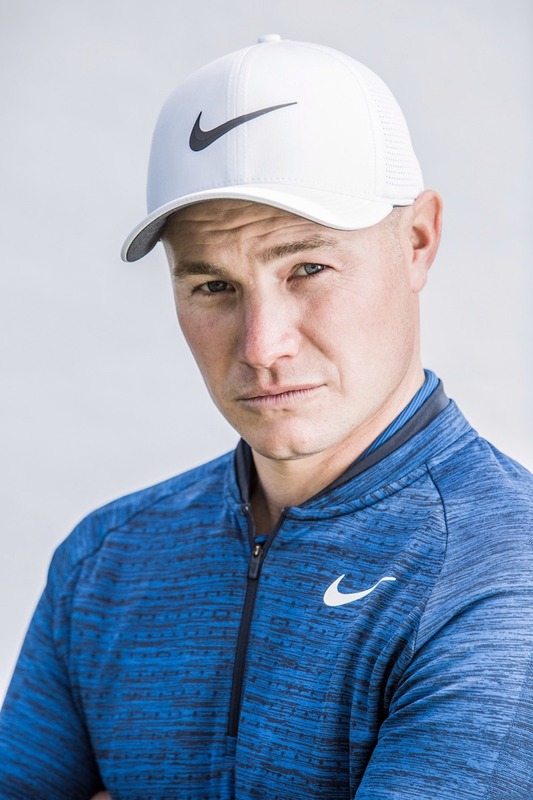 "I remember when I was working with Pete Cowan back in 2012, he said: “Golf will always give you something, as long as you work hard and your attitude is good it will give you something back, and it always does, you can’t lose that mentality especially as a tour player because the game is so harsh sometimes. When you’re down it’ll keep knocking you down and it’s so easy to lose your way. "I’ve been on tour a long time and found it pretty tough even though I’m still on tour, it’s been a real grind sometimes. Top level sport is never easy, there are a lot of variables. Even when you look at someone like Rory there are always areas you’re trying to improve. "As long as my body stays healthy I’ve got until 45 to compete on the European Tour, there’s still a lot of tournaments to be played." What does success in the future look like? "For me, success is small steps, chipping away at the plan, not giving too much control away to coaches etc but letting them tell you stuff and you dealing with it better. If I do that consistently well over the next 10 or so years I’ll start getting to where I want to be. "I’ve changed a lot since we first met on that photo shoot in 2005. I’ve changed a lot as a person in the last three years even." Oli Fisher. Original GolfPunk and history maker.